INGREDIENTS: ALMONDMILK (FILTERED WATER, ALMONDS), SUGAR, TRICALCIUM PHOSPHATE, SUNFLOWER LECITHIN, SEA SALT, XANTHAN GUM, GUAR GUM, VITAMIN A PALMITATE, VITAMIN D2 (ERGOCALCIFEROL). On Friday August 12, 2016, I met with Yoke Wong, a beverage Research and Development team manager, and chatted with her about the Starbucks Almond Milk. 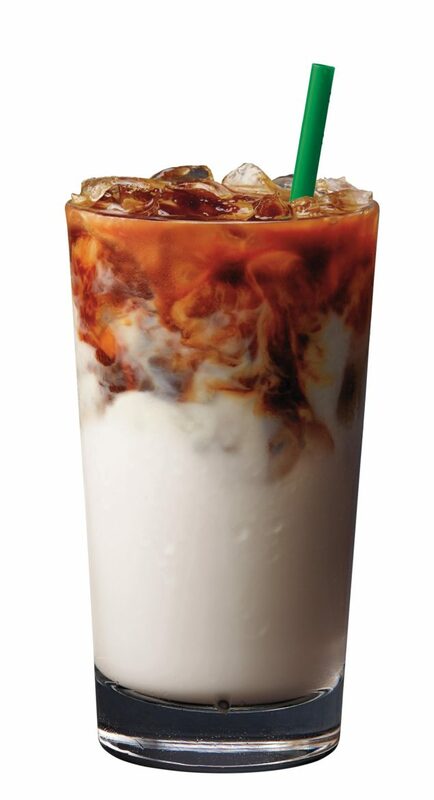 Starbucks created their own recipe for Almond Milk. It went through enormous internal testing to make sure that it was fortified with Vitamin D, that it steamed well, additionally, that it didn’t add a sugary sweetness to any beverage, allowing the flavor of espresso to come through. By the way, Yoke’s passion for the new Almond Milk came through in our meeting! I think it’s going to be her new go-to customization for Starbucks drinks. 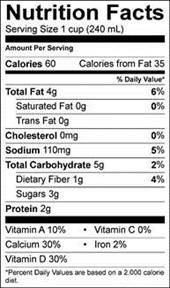 Now you have the nutrition facts for Starbucks Almond Milk. I’ve had it a few times now in an iced mocha. Replacing the milk with almond milk. It’s really good! Kinda weird that McDonald’s is starting to remove sugar from some of their products and Starbucks is still adding it. I’m wondering if the added sugar has to do with making sure it steams well? Terrible news for the millions of people with nut allergies who could rely on Starbucks. We can’t go there now with friends, family and coworkers. Plus almonds are terrible for the environment. Starbucks can do better than this. I’m really excited to see another plant milk option!! Although i also wish that it was free to gold level members the way soymilk was at one point. They were obviously-finally- listening to customers request for this, and I’m thankful for any reason to choose an alternative to supporting the dairy industry (especially since starbucks no longer offers organic dairy). Maybe coconut milk whipped cream will be next!! Yes, almond milk is a great addition to the Starbucks option menu. However, how about adding unsweetened almond milk too? There is enough sugar in Starbucks beverages without the added sugar in the almond milk. I love the flavor but am puzzled by something. My go to drink is cold brew. The almond milk apparently curds up, for lack of a better term, leaving little floating solids- much like you might see with a spoiled dairy product. I didn’t notice them the first few times I tried it, so when I did I assumed the milk was bad. The barista assured me that it was just the almond milk. Sure enough, I’ve seen it at other stores now. Perhaps I just notice it more depending on how much they add. Commercial almond milk, which I use at home, doesn’t do this. Anyone else notice this, and what is behind it?